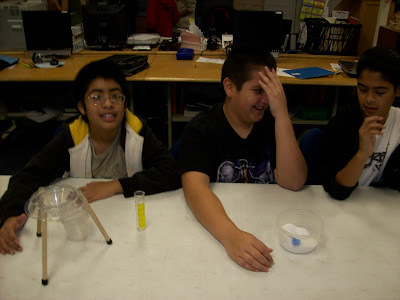 How much citric acid did it take to saturate the water? Use the words solute, solvent, and saturated solution in your answer. Saturated Salt Solution (say that three times fast)! How much salt did it take to saturate your 50ml of water? The revolutionaries used the Boston Massacre for propaganda. They wanted the incident to help get people angry at the British Government. Why do you think John Adams, who later became the second President of the United States, rose to the defense of the soldiers involved in the incident? 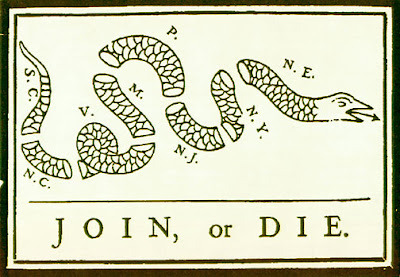 What did Ben Franklin want his newspaper readers to learn from this cartoon? Click here for an excellent resource for this cartoon. 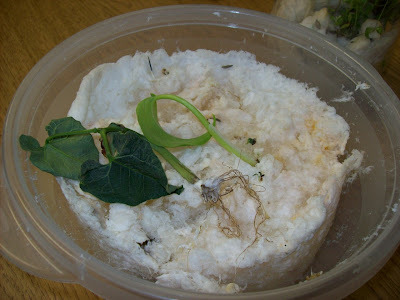 If you recall from earlier posts we discovered that seeds planted in diaper gel alone do not grow. We also turned the seeds that sprouted upside down to examine gravitropism; unfortunately the experiment didn't work, the roots dried out because I didn't cover them. Then I planted some beans that sprouted in the gel to see if they would grow. If you look closely at the pictures you can see they did not do well, the roots started to mold. 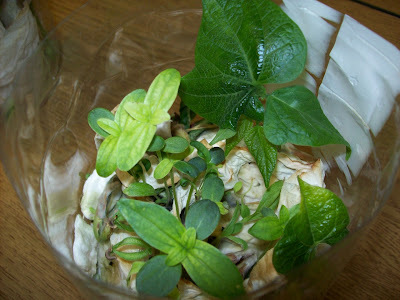 The plants that grew in the cotton and paper towels are doing very well, however. This is a stamp used during the colonial times. Why did the colonists disagree with the Stamp Act?